Hygiene is in my blood! My mother was a dental hygienist and so I followed in her footsteps by attending and graduating from Georgia Perimeter College for hygiene school. I began working at 19th Street Dental in 2008 but have been in the dental field since 1999. Doctors Patel and Zeineddin are awesome! I am so fortunate to work with such talented, kind-hearted and charming doctors. The rest of our team have a unique camaraderie that often leaves us all laughing with one another.Originally from Toronto, Canada, I now live in the up and coming West Midtown with my dog, Keegan. I have helped to give patients a brighter smile at 19th Street Dental since 2013. 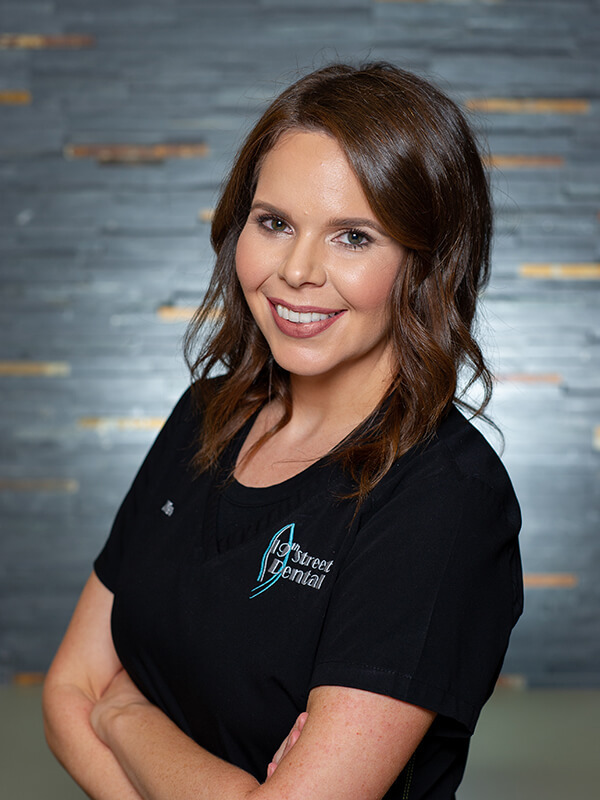 In addition to cleaning teeth and teaching patients about good oral hygiene and home care, I love helping people feel confident about their smile! Everyone gets along so well here it makes coming to work so much more enjoyable. I grew up a little south of Atlanta and moved to the city with my husband in 2008. I love spending my free time with friends and family, traveling with my husband or hiking with my dog Eve. Originally from Chattanooga, Kendra graduated from Chattanooga State Community College and moved into the Atlanta area in 2015. 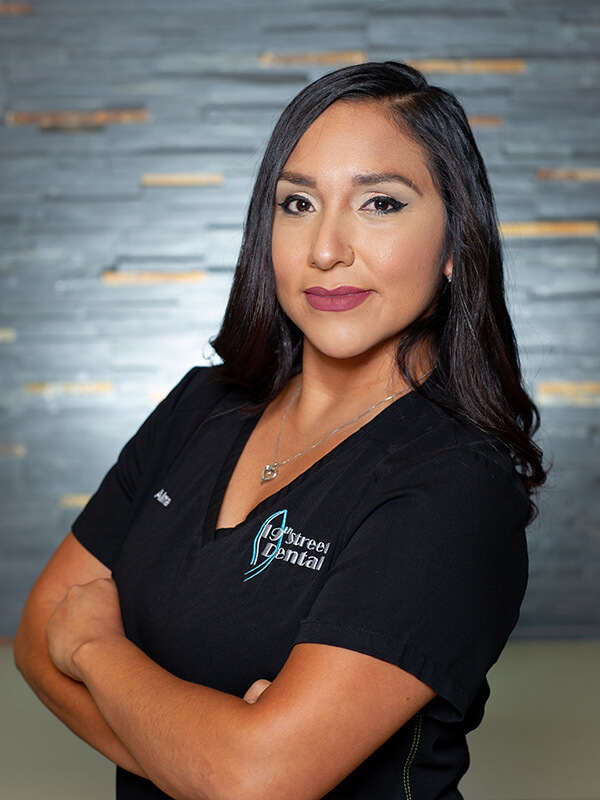 She loves interacting with our patients, providing them with tender care and helping to alleviate any of their concerns. When not in the office, she enjoys walking the beltline, cooking and exploring our fantastic city! I oversee day-to-day office operations at the office, which include keeping the practice running efficiently and smoothly and discussing with our patients their treatment plans that have been customized by our doctors. I have been in the field of dentistry since 1999, eight of which were spent as a dental assistant. Whether working in the clinic or now at the front office, I have always enjoyed making our patients’ dream smile a reality. Originally from Pittsburgh, I moved to the South to escape the snow. I would say the most important thing to me is my family: Bob, my husband, and our daughter Makenna. My ideal way of spending time is relaxing at the beach with my family or at the pool if we can’t make it to the beach! I coordinate the flow of the office, schedule treatments and will always greet you with a warm smile when you enter our office! I have been with 19th Street Dental since 2011 but have been in the dental field since 1992. The best part of my job is the interactions I have with our patients. I get to find out their needs, concerns and fears and then guide and ease them through the process. When I am not at the office, you can find me travelling to the Blue Ridge mountains where I can really put my vehicle to its limits on the open windy roads. I have been a registered dental assistant since 1976. I assist both our doctors, but I particularly enjoy being behind closed doors and working in the lab on advanced cases and treatment plans. I love working in a field where we make people proud of their smiles and am a firm believer that laughter can cure! I must admit I love pets, sharing quarters with two dogs (Benji, and Dana) and also have three salt-water aquariums. I also get excited to explore new places, cultures, and people. One of the biggest joys of dentistry is taking a frown and turning it into a beautiful smile. My favorite quote is: “Do unto others as you would have them do unto you". I have worked as a dental assistant since 2005 and love everything about dentistry. Drs Patel and Zeineddin are professional, efficient, impressive and most importantly funny, which makes my job that much more enjoyable and easier. My favorite part of what I do is that I get to be involved in changing peoples lives through their smiles. I have 3 beautiful children, that always keep me busy no matter what. I love the outdoors and especially love hiking mountains because you get to watch the relaxing sunset.